Appearances must be maintained, especially after a daily workout! 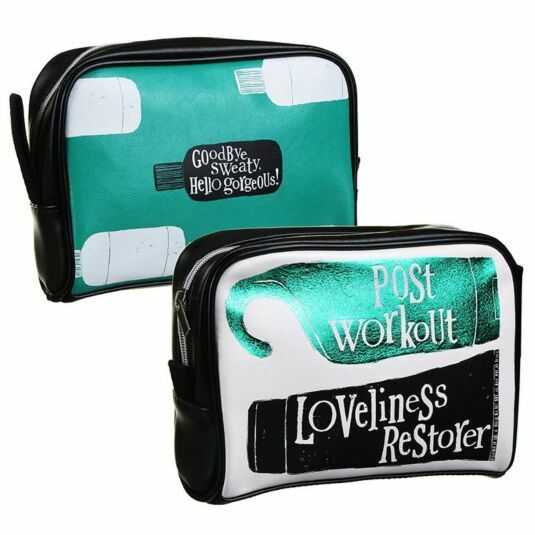 Stay fresh and keep on looking glamorous after a trip to the gym with this gorgeous faux leather wash bag from Bright Side. The bag secures with a silver coloured zip, with a vibrant green interior big enough to store your bathroom essentials such as your shower gel, moisturiser and perfume.